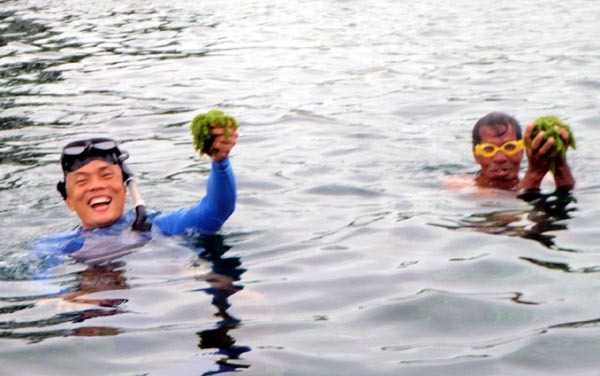 After cruising along the floating village of Day-asan and making a brief stop at Dapia's white sand beach with 2 lovely tourism staff, Mitch and Mae, Manong Boatman took us to a spot where we could get some edible seaweed locally called 'lato'. 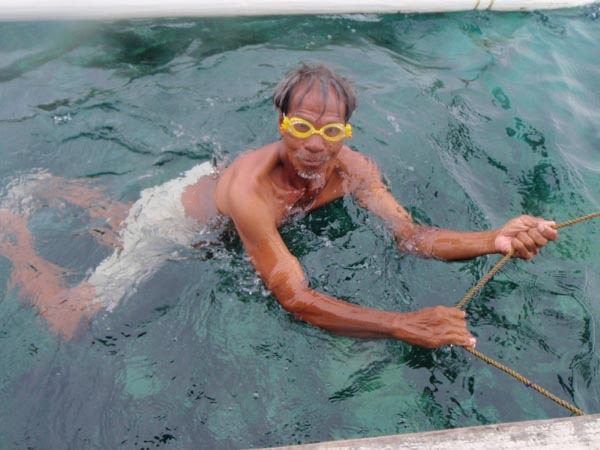 With Manong's own dive mask, I watched him make a dive and scoop up a bunch of lato. I immediately followed suit. Whoa! What a rush. 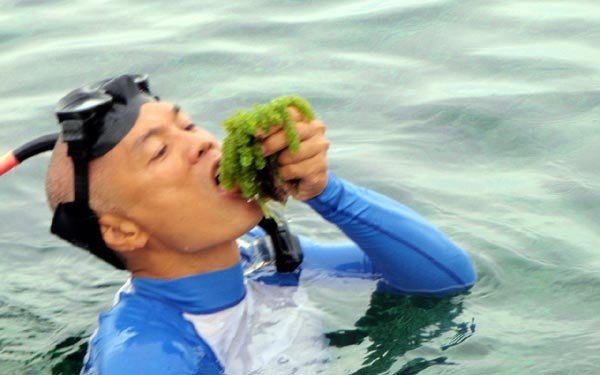 It's the first time I made a seaweed harvest given all the years I'd been free-diving. I couldn't even wait to bring it up the boat. I started snacking while hanging on to the outrigger. As an after-thought, I asked the boatman if there was a coral reef nearby. 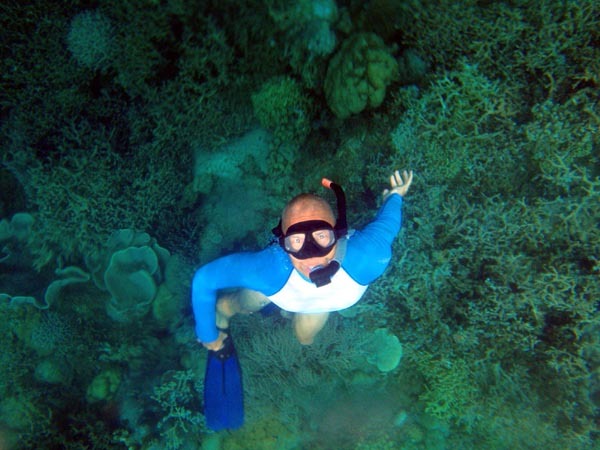 To my surprise, he said there is a massive reef system that spans many square kilometers not too far away. Really? I was elated, but rather skeptic. How come I never heard of it given the research I've done about Surigao City? 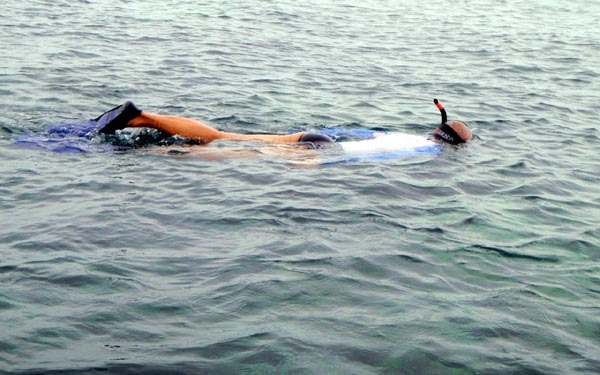 When we reached the early beginnings of the reef, we stopped and I donned my snorkeling gear and made a free-dive. Wow...not bad. 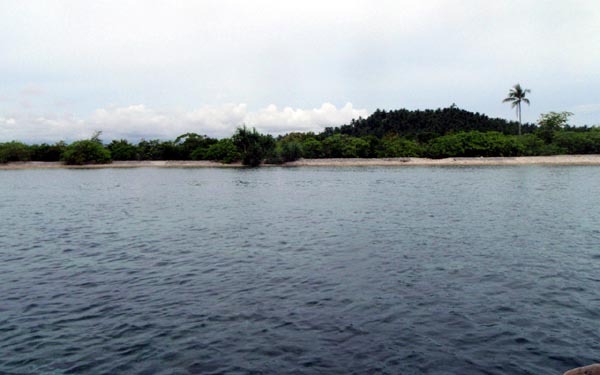 It was half sandy bottom and half isolated coral colonies. 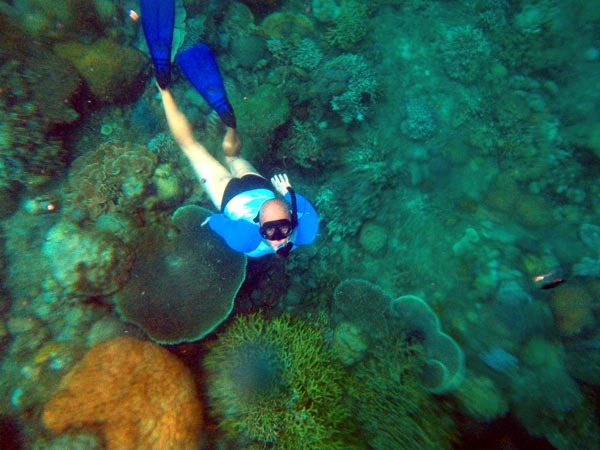 I explored some more, snorkeling on the surface and making a plunge on anything interesting. There weren't any sizeable fish but the small fish population was rather healthy. 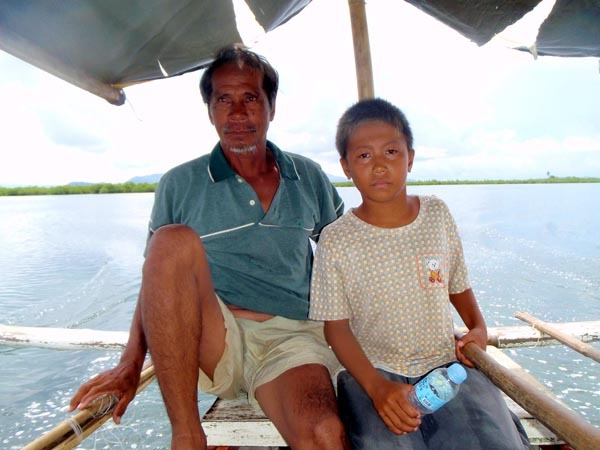 Manong Boatman asked that we go to a better spot. As we continued cruising along the reef system, with good water visibility, the reef below us just got better and better. We stopped at one promising point and again I made a few dives. This was much better! 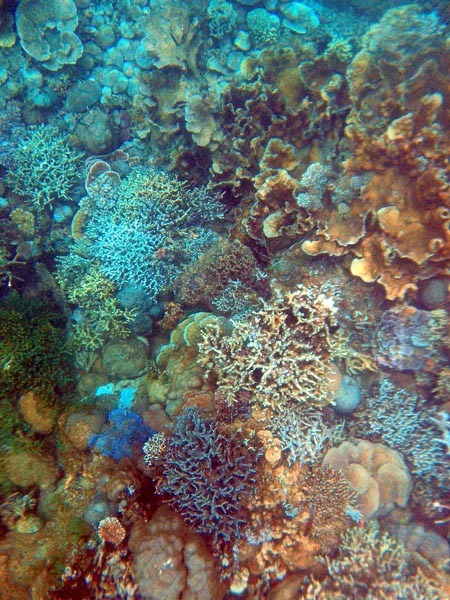 There was an assortment of hard branching corals, some of them color themed by clusters. 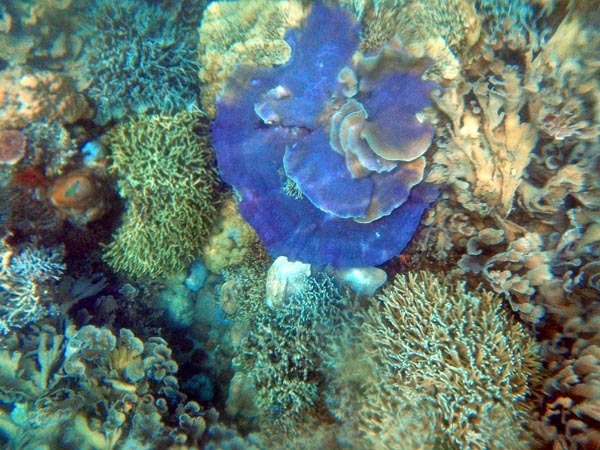 There were also a wide array of soft corals. I was at a depth between 15 to 20 feet where water was still. The water had a strong current where the drop-off was, but no fear this time...we had a boat! I just went for one plunge after another until I was exhausted! 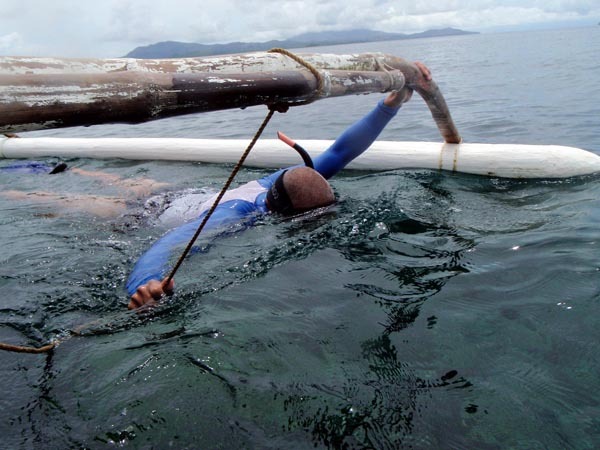 Manong Boatman suggested we hang-on to the make-shift rope handle on the outrigger as the boat slowly cruised along. That's when I began to appreciate the vast undersea world that lay beneath us while the boat pulled us for the tour. It was such a treat. Instead of kicking with my fins to cover a small area, I get a free ride with all that visual feast on a much wider coverage! I was still stoked as we left for the city. 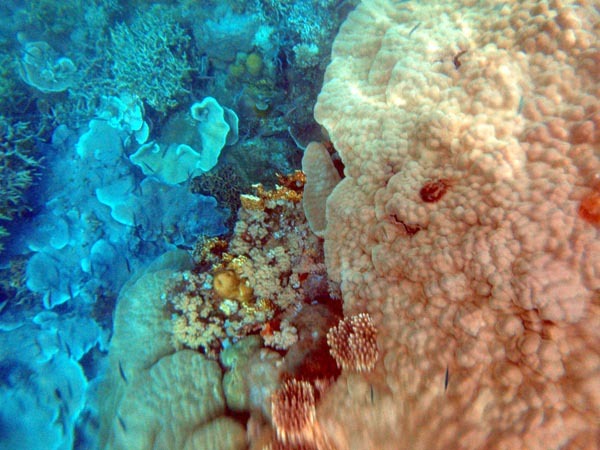 Usually, the popular coral reef that used to amaze me are now reduced to rubble or what I would call a coral graveyard. With an increasing population, there's a lot of that now. Fishermen resort to dynamite fishing, muro-ami (leveling an entire coral rock to get a hiding fish) or cyanide fishing. With the exception of protected and established coral reefs that already found its way to the travel guides (like the reefs of Coron, Dauin) I didn't think I'd still see an unheard of reef that remains intact. But this one is. I'm actually surprised...make that pleasantly surprised! 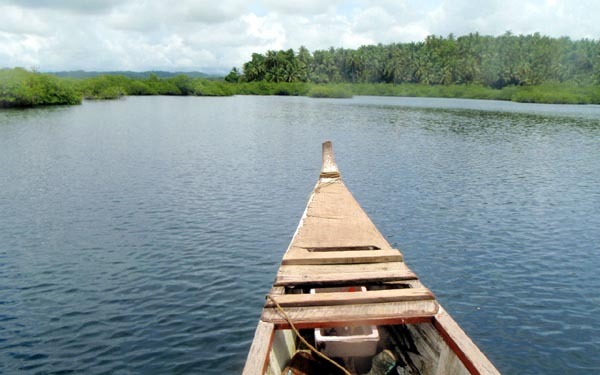 This just gives me optimism that there's more to discover here in Surigao City - another reason I should stay longer. 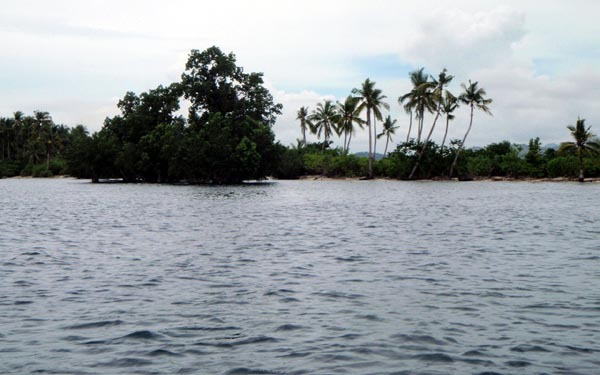 you can bundle this dive with a trip to Day-asan Floating Village and Dapia Beach - same boat! (June 16, 2013) WOW dude you're living the life!